8 YRS Hangzhou Polytech Plastic Machinery Co., Ltd.
1 YRS Shanghai Jinhu Extrusion Equipment Co., Ltd.
3 YRS Qingdao Suno Machinery Co., Ltd.
4 YRS GPM Machinery (Shanghai) Co., Ltd.
10 YRS Qingdao Zhenxiong Mechanical Equipment Co., Ltd. 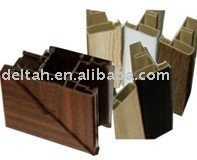 Comparing with concrete, tile surface, the surface of plastic wood is affinited, environmental protection and durable. WPC have excellent physical performance, good size stability that can be processed according to the need. WPC do not produce fissure, warping and timber section scar WPC can be sawed, linked, digged and fixed by nail or screw. 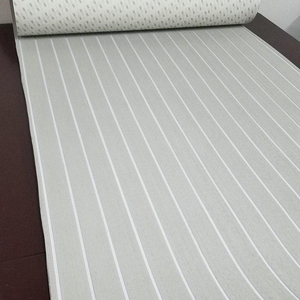 2 YRS Zhuhai Zhuoya Marine Part And Accessory Co., Ltd.
EVA Foam Faux Teak Sheet Boat Yacht Grey With White Lines Decking 900*2300*6MM 35" X 91" 6MM Non-skid EVA Foam Faux Teak Sheets provide unparalleled comfort and exceptional traction - even when wet! They have a combined thickness of 6mm of soft, durable foam materials with a simple, robust peel-and-stick backing. Sheets are 35 inches wide x 91 inches long x 6mm thick, teak Grey over white and can easily be cut down to fit nearly any surface on a boat where non-skid, or protection for the boat's surface is required. It is nice and better features than real wood. We can provide the formula to you if you order our machine . Make sure precision stable and longer service life. 12 YRS Qingdao Weier Plastic Machinery Co., Ltd.
11 YRS Zhangjiagang Mingshun Machinery Co., Ltd.
(B) Feature: 1. 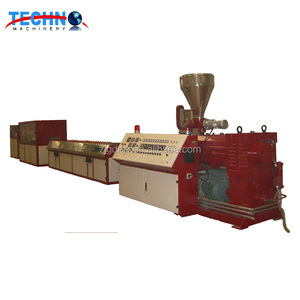 Conical twin-screw extruder, suitable for processing WPC raw materials. 2. 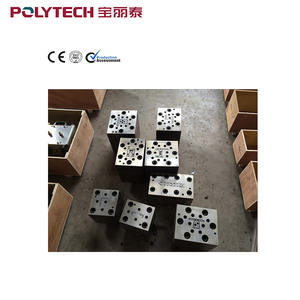 Changing the moulds to produce many kinds of different profiles. 3. 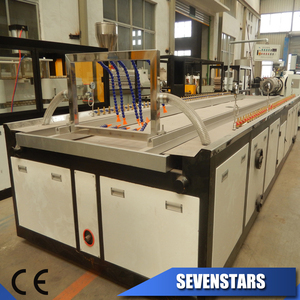 Auxiliary machine: Mixing unit, Mould, Vacuum calibration table, Haul-off machine, Cutter and Stacker. 11 YRS Qingdao Zhongsu Machinery Manufacture Co., Ltd.
2.We will provide the model selection and technical parameter for wood-plastic machinery. 3.We will provide the design for the plant and electric power accounting for the facilities. 4.We will provide the design for wood-plastic formula according to the product requlrements. 1 YRS Jiangsu Active Technology Machinery Co., Ltd.
3. 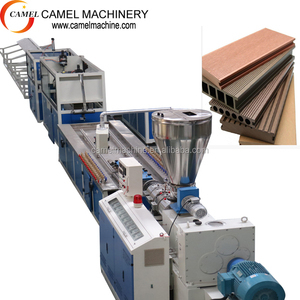 The conical twin screw extruder system has applied special computer control. 4. The conical twin screw is made by high precision special digital screw miller; extruding property can be highly harmonized. 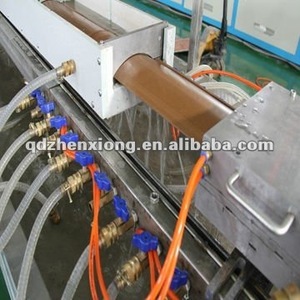 3.Use for WPC (Wooden Plastic) panel extrusion line,making WPC profile/panel products. 2 YRS Qingdao Hualide Plastic Extrusion Equipment Co., Ltd.
7 YRS Changzhou Camino Building Material Co., Ltd.
3 YRS Jiangyin Lilian Machinery Co., Ltd. Engineers overseas servive(installation ,commissioning and training) is available 2. 12 month guarantee. Free spare parts will be offer if degamed under normal operation Certificate Our shows Sincerely welcome to visit us! We also offer you more discount if you order on Our company is near Shanghai, about 130 to our factory anytime! 9 YRS Qingdao Hegu Wood-Plastic Machinery Co., Ltd.
2. High performance and accuracy of our Machine, to reduces the chances of equipment failure during operation of the equipment , and brings greater benefits to the customer. ) Q:What about after service9 A:We can offer 18 months free warranty since the machinery arrived at your factory. We also offer space parts or repair service to our customer anytime and anywhere, we will sent our technician to your factory if necessary. 1 YRS Zhangjiagang MG Plastic Industry Co., Ltd.
1 YRS Qingdao Fullwin Plastic Machinery Co., Ltd.
Our factory manufactures with high-quality material, applying the method of hardening and tempering and nitriding, thus it enjoys the characteristics of long working life, wear resistance, and anti corrosion. Besides, the technique of hard alloy spraying or chrome plating can be used on the working surface of screw, which will make it have better using effectiveness. Our advantages: 1. Screw and barrel for various models 2. Professional engineers design for you 3. Thousands of drawings can supply for you 4. Insist on developing screw and barrel for more injection and extruder machine models 5. Main market: Southeast Asia,Eastern Europe, Africa Want to know more information about our products 9 Warmly welcome to contact us by below ways: * Skype : zj1584 We will be very happy to answer your questions in 24 hours. 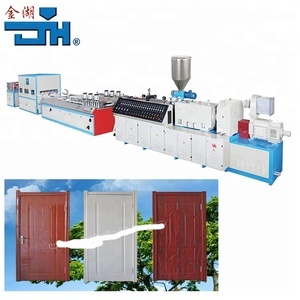 6 YRS Zhangjiagang Anda Machinery Co., Ltd.
5. low prices for easy-broken parts Zhangjiagang Anda machinery Co. And we also make plastic extruder machine and plastic recycling machine . and before machine leaves factory, we will fully test machines. 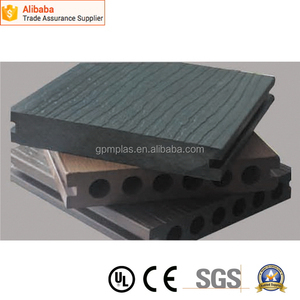 Alibaba.com offers 55,223 decking line products. About 8% of these are plastic extruders, 2% are tile making machinery, and 1% are brick making machinery. A wide variety of decking line options are available to you, such as profile, sheet, and pipe. You can also choose from 100% cotton, metal. As well as from roof, wall, and floor. And whether decking line is hollow block making machine, or paving block making machine. 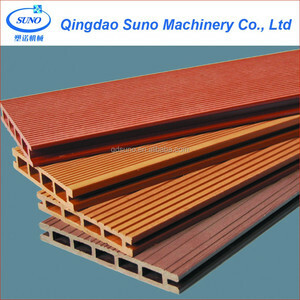 There are 55,223 decking line suppliers, mainly located in Asia. The top supplying country is China (Mainland), which supply 100% of decking line respectively. Decking line products are most popular in North America, Western Europe, and Domestic Market. You can ensure product safety by selecting from certified suppliers, including 9,258 with ISO9001, 3,809 with Other, and 1,222 with ISO14001 certification.